Summary: vCloud Director, once the flagship product spearheading VMware’s vCloud Suite, is slowly winding down for enterprise customers – potentially leaving some companies with a roadmap challenge. Having just started work for a cloud service provider in the Channel Islands (Foreshore) my focus has shifted and vCloud Director is a product I’m working with. After VMworld last year I wrote about how badly VMware communicated their product shift away from vCloud Director (vCD) and this year I’ve not seen much sign that communication has improved. 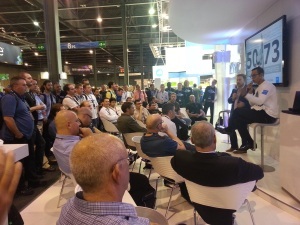 At VMworld Barcelona this year only one session out of over 400 was about vCD. Yep. One (although to be fair it was ‘vCD roadmap for service providers’ – more on that later). How the mighty have fallen. What do we know about the vCD roadmap? The problem is it’s been a year since that announcement and there’s been near radio silence since then. If enterprise customers need to transition off vCloud Director then VMware need to provide information, preferably sooner rather than later, on how that’s likely to work. 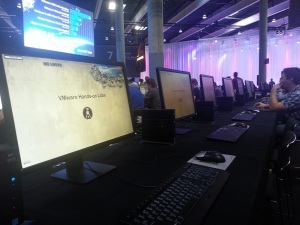 Summary: A recap of the major announcement and my thoughts on both the announcements and the conference. It’s a long post because I use it as a personal record of thoughts – feel free to skim read! Like last year I arrived in Barcelona on the Sunday so I had more time to settle in. This was my first conference as a VMware Partner but unfortunately Monday, Partner day, was a bit of a wash out for me due to some registration issues which preventing me getting into the sessions (and lunch!). I probably need to allow myself some time to adjust my perspective and learn the partner side of the fence and it’s unfair to judge when I didn’t attend but looking at session titles most of the partner sessions appeared to be sales focused rather than roadmap or vision which would have interested me more. I guess everyone’s interested in those so they become general sessions. Which brings me nicely to the keynote presentations…. I’ve come to accept and almost enjoy the reality that Europe plays second fiddle to the US conference, which means the bulk of new announcement have already been made at the US show. My first ever blogpost was ranting about why the US show was the obvious one to attend but I now find I enjoy the gap as it gives me time to digest, investigate, and dwell on what’s new. It is a smaller show with less vendors, sessions etc but there’s still no way you can see or learn everything that’s on offer in the three or four days so it’s equally worth attending. I think the buzz was a bit more balanced across the product suite this year. Two years ago felt like it was all about storage with the mass market adoption of caching, flash, scale out and hybrid arrays whereas last year was all about NSX. This year NSX was clearly still buzzing (top HOL by a mile) and storage continued it’s disruptive evolution (PernixData, VAIO, VSAN) but the announcement of EVO:RAIL got the most column inches. vCloud Air products, vRealize Automation adoption and some of the DevOps focus were also capturing plenty of the discussions and sessions. While VMware may be propping up ‘legacy’ applications until the Web 2.0/AWS crowd take over the world (;-)) it’s still a vibrant, exciting, and quick moving place – and therefore enjoyable! EVO:RAIL (and later EVO:RACK) will allow VMware’s partners to compete with the existing hyperconverged vendors, while also selling more VMware licences. vSphere 6 was NOT released but continues as an open beta. I’m on the beta and there are some great new features on the way (vSMP could be a game changer, vVOLs are an improvement but have taken too long to arrive) but this is somewhat overdue given VMware’s previous two year per major release lifecycle. NSX 6.1 was announced (and released). NSX continues to grab mindshare but I think it’s going to be a long adoption cycle (as I’ve written previously). vCloud Air continues to evolve at a rapid pace. New services such as vRealize Air Mobile and vRealize Air Automation are the first to be announced but more will no doubt show up in short order. vRealize Automation is being released on an aggressive six monthly release cycle which everyone is struggling to keep up with but it reflects the importance VMware attach to this product. VMware purchased CloudVolumes and rebranded it to AppVolumes. I first came across this technology last year via CloudCast episode 87 which is worth a listen as background. Interesting stuff and one to watch. 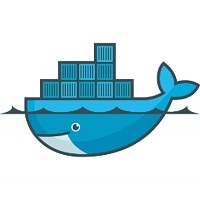 Docker integration was announced (the cynics would say to keep the DevOps crowd happy). I agree that containers and VMs complement each other but I think containers are still a threat to VMware in some use cases – after all containers run on any hypervisor so they level the playing field somewhat and containers without VMware are largely free…. If you want them all Latoga Labs have posted a comprehensive list of announcements at the US conference and you can supplement it with this list of announcements at Barcelona. VMware’s entry in the hyperconverged space is both a big event and a non-event. It’s big news because it will increase adoption of hyperconverged infrastructure, particularly in the SMB space, through increased awareness and because EVO:RAIL is backed by large vendors. It’s a non-event in that EVO:RAIL doesn’t offer anything new other than form factor – it’s standard VMware technologies and you could already get similar (some would say superior) products from the likes of Nutanix and Simplivity and others. I’ll be posting my (generally positive) thoughts on EVO:RAIL soon (now posted). NSX is here to stay. A cutdown version, NSX Lite, looks set to become a core part of vSphere at some point in the future, probably towards the end of 2015 (my guess). It may not have mass market adoption yet but there’s a lot of interest and actual customer deployments. It’s already baked into vCloud Air and will be part of the EVO:RACK stack when it’s released. VMware are clearly ‘betting the business’ on NSX succeeding. The introduction last year of VMware’s own vCloud Hybrid Service, now known as vCloud Air (part of this year’s rebrand) makes it clear that even VMware’s partners weren’t keeping up so VMware have decided to compete their own way and create a public cloud where they can integrate the latest and greatest on a schedule they control. For some partners this evolution may be a challenge in the long term (is there still enough scope for adding value?) but for now it seems the partner network is alive and well. vCloud Air feels already gets as much focus from VMware as the vSphere suite, despite being only a year old, so I imagine we’ll see this pushed even more in the future. Whether they can really compete with the big four (AWS, Azure, Google, Rackspace) is yet to be seen – for Cloud IaaS VMware are still in the ‘niche’ quadrant according to Gartner. Keeping customers engaged over vCloud Director seems to be an after thought for VMware, despite the technology underpinning vCloud Air. I spoke to several colleagues at large service providers and all felt that vCD had a future and that VMware would help them transition to vCAC (the successor to the crown). For the first year many colleagues were actively involved with vCO/vCAC and coding workflows, though most also mentioned a steep learning curve and required changes to organisational structures that need to accompany adoption. Competition is forcing VMware’s hand. The tagline for this year’s conference was ‘No Limit’ and the keynote was peppered with references to being ‘brave’ (and last year’s tagline was a not too dissimilar ‘Deny convention’). I think VMware are trying to encourage their customers to accelerate their pace of adoption and change. In 2012 I wrote about customers struggling to keep up and still think it’s a problem today. Likewise competition is forcing VMware to release products throughout the year rather than at the conference. Five years ago everything was released at VMworld whereas the last few major releases have come outside conference time – VSAN, vCHS, even the vSphere 6 beta. VMworld is still a great marketing platform but major releases can now arrive at any time of year. I’ve not very familiar with OpenStack but VMware’s development of an OpenStack distribution feels like they’re hedging their bets. If OpenStack adoption increases VMware have a stake in it and if not then there’s less competition. Time (and more educated folks) will tell. This year I noted more of my peers developing code (for vRealize Automation – OK, vCAC) than ever before. 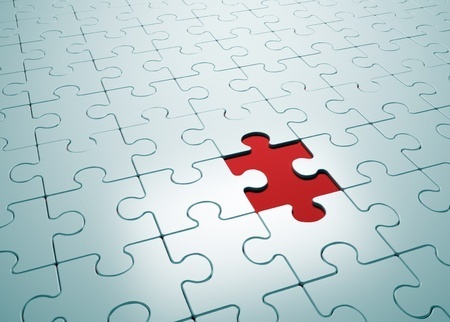 vCenter Orchestrator has been ‘the best kept secret’ for about four years but the swing towards ‘infrastructure as code’ is actually taking hold in VMware-land. I only attended a few sessions this year – frankly I don’t know where the four days went! As all the sessions are online after the event I don’t prioritise them as much as I probably should, given that I rarely find time to watch them later! I was also more focused on work related technologies rather than new features as I was attending on company time rather than on my own time. Site Recovery Manager 101: What’s New (BCO2394) – this was an introductory session which frankly I attended my mistake! I did learn a few new things and there was a nice tip at the end to check out another session (BCO1916.2 – Site Recovery Manager and Stretched Storage: Tech Preview of a New Approach to Active-Active Data Centers) which was covering a new SRM use case in combination with a MetroCluster. I didn’t have time to catch that session live but will be downloading it later. Multi-Site Data Center Solutions with VMware NSX (NET1974 ). When I attended the NSX ICM course there was a lot of discussion around NSX being a single datacentre solution so I was curious what this session was going to cover. This was a great session, and covered both enterprise and cloud use cases and was surprisingly easy to digest for a complex topic – that’s the sign of a good speaker (Ray Badavari). Well worth a watch. Veeam Availability suite v8 deep dive (STO2905-SPO). This session highlighted the new features in the upcoming v8 release along with some useful best practices. The failover plans look useful (very similar to SRM failover plans) and I can see a use case for SureReplica (test/dev sandbox for replica VMs) although many of the other features are just ‘nice to have’ rather than revolutionary – WAN acceleration for replication jobs (backup-copy jobs only in v7), network traffic encryption, Netapp integration etc. I only found time for a few labs although I did find them useful (see also the full list of HOLs available in Barcelona). You can now take these labs online. HOL-SDC-1423 – vCloud Suite Networking. I need to improve my networking knowledge and getting more familiar with vCNS and NSX is high on my list. I found this lab hard going – not technically difficult, just boring! Note to self – don’t take labs at the end of a long day when tired as it’s not productive! HOL-SDC-1428 – VMware EVO:RAIL Introduction. I enjoyed this lab, simple though it is. It gives you a chance to get hands on with the simple GUI available with the EVO:RAIL. Pernix Data. I first saw these guys via Storage Field Day 3 back in April 2013 – that might not seem too long ago but in this industry it’s an age.Their ‘flash virtualisation platform’ is a read and write cache which operates across distributed hosts in a cluster to accelerate your I/O. I’ve also met with their CTO Satyam Vaghani on several occasions as I’m always impressed but both their technology and ambitions. Along with Proximal Data (who I saw at SFD2) these companies have been talking about the I/O path’s potential for a couple of years. There’s a reason it’s called a platform not just a product. Prior to VMworld this year PernixData launched v2.0 of their FVP platform which includes using RAM as a distributed cache. Good stuff! Diablo Technologies. These guys deliver ultraDIMMs which essentially embed storage into your existing DIMM slots, facilitating blazing fast access in the process. In this thoughful introduction to Diablo by Justin Warren he tackles the technology and possible use cases. It’s certainly an interesting idea but are there enough use cases? I was hoping to see Diablo at TechFieldDay Extra but sadly they presented on the Thursday when I couldn’t attend – time to watch the videos I guess. SanDisk. I spoke to FlashSoft (a division of SanDisk) back in 2012 when server side SANs were just getting started and PernixData etc were just coming out of stealth. Since then server-side caching has grown in popularity and this year SanDisk have partnered with VMware on the upcoming VAIO filters. FlashSoft never stuck me as the most popular flash cache solution so it’s interesting that VMware choose them as a partner. I wonder what this opening up of the APIs means to PernixData? Here’s some further info and thoughts on some of these developments from Chris Wahl, Niels Hagoort, and Cormac Hogan. I was surprised that Proximal Data weren’t in attendance but their news page and twitter feed have been very quiet lately – maybe all is not well. I should also have spoken to Infinio and Atlantis Computing (as they operate in this space) but ran out of time. For the first time (that I’m aware of) Oracle were in attendance. Given their licencing and certification/support stance on VMware it was brave to say the least! I’m familiar with their ‘converged’ infrastructure offering, the OVCA, having had some exposure to it at my previous employer but I didn’t find time to have a chat about it. I was surprised when Gartner put Oracle in the ‘leaders’ quadrant for converged infrastructure a few months ago (along with VCE, Netapp, and Cisco) but they must be doing something right. Whenever I mention OVM to anyone it gets short shrift though I’m not sure if that’s owing to actual knowledge or just because it’s ‘clever’ to bad mouth Oracle in the VMware world – personally I’ve never used OVM. Auto-scaling applications (Download the full PDF here). I spoke to Xiaoyun Zhu who explained that they’re working on allowing applications to automatically scale out either vertically or horizontally based on a set of criteria. I remember trying to do something similar with dev/test environments and quickly found that while amending VMs is trivial that’s the tip of the iceberg – the application may need reconfiguring (buffers, caches etc) as will middleware and determining the ‘trigger’ for the initial memory upgrade is not always simple. How do you determine when to scale up vs out? What’s ‘typical’ performance for an app? What if only one tier in a multi-tier application needs to scale? What if scaling one tier has a knock on effect and you need to scale out every tier? The kind of machine learning used to create dynamic thresholds in vRealize Operations is probably being used here and I can see great value in the ability to adapt a whole application on the fly. On the other hand much can already be done with the publically available APIs and I can’t see how VMware would keep up with application revisions. This was also on display last year with a slightly reduced scope so it’s obviously not a quick win! High Performance Computing (Download the full PDF here). The last release of vSphere came with some specific features aimed at low latency applications but they come with considerable constraints to core features like vMotion. VMware aren’t resting on their laurels and are continuing to find ways of supporting low latency without constraints. High Performance Computing refers to Grid Computing and is often used in the sciences where crunching large numbers is commonplace. I had a good chat about the challenges and progress with Josh Simons from the HPC division. 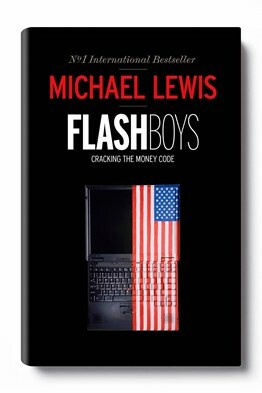 In these environments milliseconds count – if you want to understand why and enjoy a good read try Michael Lewis’s FlashBoys which tells the story behind high frequency trading! I read this on the flights to and from Barcelona so it won’t take too long but is recommended. I also visited the VMware shop and found the selection of books now available to be very sobering! Compared to the early days of VMware there’s been an explosion in the complexity and breadth of topics you need to know. Two books caught my eye and are now on my Xmas wishlist – Cloud Computing by Thomas Erl and cloud networking by Gary Lee. Taking my own advice I also went to the Meet an Expert sessions and had a couple of one on one sessions with VMware experts (Ninad Desai and Gurusimran Khalsa). This gave me the chance to put my question about the future of vCD directly to VMware staff although I had to go through quite a few people before I found someone who could give me a satisfactory answer (thanks Scott Harrison)! I’ve got a blogpost in the offing about this particular topic. I watched a few of the vBrownBag sessions – one on SSO by Frank Buechsel (@fbuechsel) and another good one from Gabriel Chapman on converged infra which was commendable for including actual customer numbers. I also caught, more by chance than design, the vExpert daily which is always fun if not overly informational. The vBrownbag sessions felt a bit unloved stuck to the side of the hangspace and I wonder if it wouldn’t be better within the Solutions Exchange, given that people are used to watching presentations there? I expect that wouldn’t work as it would have cost implications. I should also mention the portable whiteboard I got from vBrownBag – maybe it’s a novelty but at least potentially useful! The vBrownBag sessions were recorded and are all online via their YouTube page. 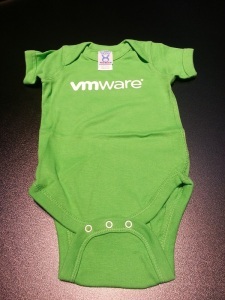 I didn’t party as hard this year as I’ve got a newborn at home so sleep (and a VMware vest!) 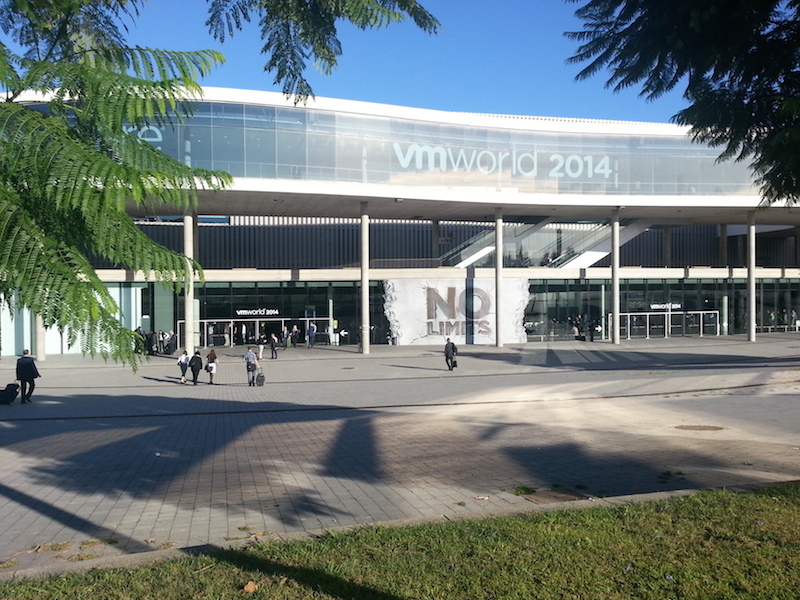 was more of a priority – I skipped the vExpert/VCDX party, the Veeam party, and the official VMworld party. It also gave me a chance to write up notes, something I’d promised myself I’d do a better job of. I did kickstart the conference with the vRockstar party at the Hard Rock Cafe, which was great. I’ve got to know a lot of people over the last five years and it’s great to have a catch up over a drink and some tech chat. I spent much more time chatting about industry trends and canvassing opinion than previous years. I did make the PernixData party (great venue) and had a good chat with Ather Beg from Xtravirt and Chris Dearden, Ricky El-Qasem from Veeam and Canopy Cloud respectively. I also spent some time recording some sessions for VMware EMEA, talking people through what to expect at VMworld. It makes me cringe seeing myself on camera (that’s why I’m a blogger – I can write rather than talk) but you can watch it on the official VMware blog. Summary: My thoughts on the new NSX Install, Configure, Manage (ICM) course, based on sitting the beta course (the usual beta caveats therefore apply). Back in June I sat the beta of the VMware NSX Install, Configure, Manage course at VMware’s head office (at Frimley in the UK) and I thought it would be worth detailing my thoughts and experiences now that the course is publically available. This post won’t describe the course agenda in detail as you can read the official course description (along with prices, booking info, schedules etc) but from a quick look at the agenda I’d say the content hasn’t changed much. Do I need to be a network guru? Despite meeting those quite happily I found some sections challenging, particularly around VXLAN. Knowledge of network overlay concepts, and VXLAN in particular, is essential. I’ve done lots of work with vSphere but not much with vCloud, so hadn’t really worked with VXLAN in any depth and there’s a lot of terminology to understand – VTEP, UTEP, MTEP, and LIF to mention a few. VXLAN is also used in Cisco’s competing ACI product (as explained by Gary Kinghorn from Cisco) so it’s well worth learning even if you’re not going down the NSX route. Some background knowledge of routing protocols such as OSPF and BGP etc would also be beneficial. If you’ve worked with the vCNS interface, you’ll have a good headstart as NSX looks very similar. For me the biggest benefit was access to hands on experience with NSX – unless you’re lucky enough to work with it via your company the only option is the two online HOLs (NSX for vSphere and NSX for multi-hypervisors). I believe access will become more widespread soon but it’s been frustrating many people while they wait for access to a product that’s supposedly GA. In my case I was very lucky to have an exceedingly well educated bunch on the course with me, including Michael Haines (who works for VMware and helped create the vCloud Architecture Toolkit among other publications) and some guys who were doing the bootstrap program towards the VCDX-NV. This stimulated some great debate and meant someone in the room could answer any question I threw at them (probably in their sleep). Most courses won’t benefit from this level of expertise but it’s always worth learning from other candidates on courses regardless. The 17 labs do a good job of slowly building up an internal network, adding multiple networks with routing, integrating it with external networks and adding VPNs, firewalls etc. As you’d expect it showcases the flexibility enabled by virtualising networks, such as the ability to move L3 networks around and microsegmentation (a killer feature say VMware). I found the labs short on context and too focused on ‘click here, type this’ rather than scenerio based – you weren’t always encouraged to think about what you were achieving and why. Overall I enjoyed the labs and felt they were very useful. Disappointingly there was minimal coverage of the multi-hypervisor version of NSX – our instructor dug out an NSX-MH (multi-hypervisor) introduction document (including a feature comparison) for us but it would have been nice to see more included upfront. 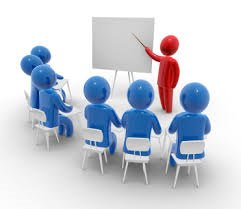 Obviously this course is also the recommended learning path if you’re intending to take the new VCP-NV certification. If you’re already a VCP then the course is optional. I’m not sure if I’ll bother taking this exam as aside from the course I’m not using NSX day to day but if you are Paul has created a series of multiple choice NSX quizzes in similar style to a VCP exam – it’s worth taking to test your knowledge after the course. A couple of people have written up their VCP-NV exam experiences here, here, and here. There are aslo some videos over at the vBrownBag site covering objective 1 and objective 2 and I’m sure there’s more to come. I think it’s well worth taking the course even if you’re not a network guru. As the virtualisation landscape has evolved everyone has needed to learn more about compute, storage, and networking and this looks likely to continue. I’ve heard that vCNS (in many ways a predecessor of NSX) is no longer being developed and that going forward NSX (in some form) will be the core networking component for vSphere. If that’s the case then everyone needs to be familiar with it, just as they need to understand vSwitches today. Having said that I can’t see it being a quick adoption for NSX, and therefore there’s no immediate requirement to learn the product. VMware are promising that NSX will simplify your operations, but in the short term that’s not what I see. You’ll likely be running NSX plus ‘legacy’ physical networks for a long time, plus NSX will lead to new management toolsets (think vCOPs for networking) and integration points which will take time to mature. You still need to adjust your underlying MTU settings and despite being part of the ‘software defined’ world some hardware issues will no doubt need to be tackled (think VSAN-like teething issues). Having spent a bit more time with NSX I do now have a better understanding of where it fits. Most of the course delegates felt it was largely beneficial to large enterprises and service providers as the automation it enables requires coding and a high degree of competency. It’s also a bit rough round the edges – for example you have to have full administrator access in vCentre to use NSX, so forget delegating limited rights to your network team. Previously I’d thought NSX offered network virtualisation that would allow a layer 2 network to span datacentres (ie layer 3) but NSX only works within a single datacentre (largely a VXLAN limitation I believe). That’s set to change in the future apparently so watch this space. As an incentive for early learners you get a 50% VCP-NV exam discount if you take the exam before the 19th of December. Brad Hedlund’s NSX posts – another VMware engineer (& CCIE Emeritus), these posts are very detailed and good stuff! Worth a read – VXLAN design guide (published March 2013). This guide is a follow up to the Virtual Network design guide (published January 2013) and goes into more detail on how to prepare your clusters and existing networks and how to consume logical networks. Good read from Ivan Pepelnjak about why a streched layer 2 network isn’t a panacea like many seem to think. I found that many of the above blogposts cover similar material, which largely mirrors what the ICM course covered. For a more academic approach you could sign up for a free, online SDN course at Coursera although it runs infrequently and isn’t on demand – you have to make time available when it’s on. It’s focused more on open source technology and building your own SDN controllers using Python. As a further alternative you can search Google for SDN, NFV, NSX, OpenDaylight, Pyretic etc and say goodbye to any spare time for years to come….